Before smartphones, you usually had to tell someone where you were out in the world. Today, smartphone technology makes it possible for friends and loved ones to see exactly where you’re located. Of course, if friends and family can see your location at any time, so can the police. But should they be able to do this without a warrant? Just because the technology exists, does that mean the authorities should have unfettered access to it? The Supreme Court has agreed to rule on whether police need a warrant before they can use mobile phone location data. The high court will decide if police must obtain a search warrant before getting location information from mobile phone companies. The Supreme Court case stems from a lower court case in which a man was convicted for a series of armed robberies in Ohio and Michigan. In his case, the FBI used his cellphone data to view his past locations. Although the FBI had a court order to view the location data, it didn’t have a warrant citing probable cause. The FBI was able to determine that the defendant had been near the locations of the robberies by analyzing location data turned over by his mobile service provider. The defense will argue that law enforcement accessing cell phone location data without a warrant constitutes an unreasonable search under the Fourth Amendment. According to a Reuters report, the four main wireless carriers in the U.S. — Verizon, AT&T, T-Mobile, and Sprint — receive tens of thousands of “cell site location information” requests from law enforcement agencies each year. In most cases, the carriers grant the requests. 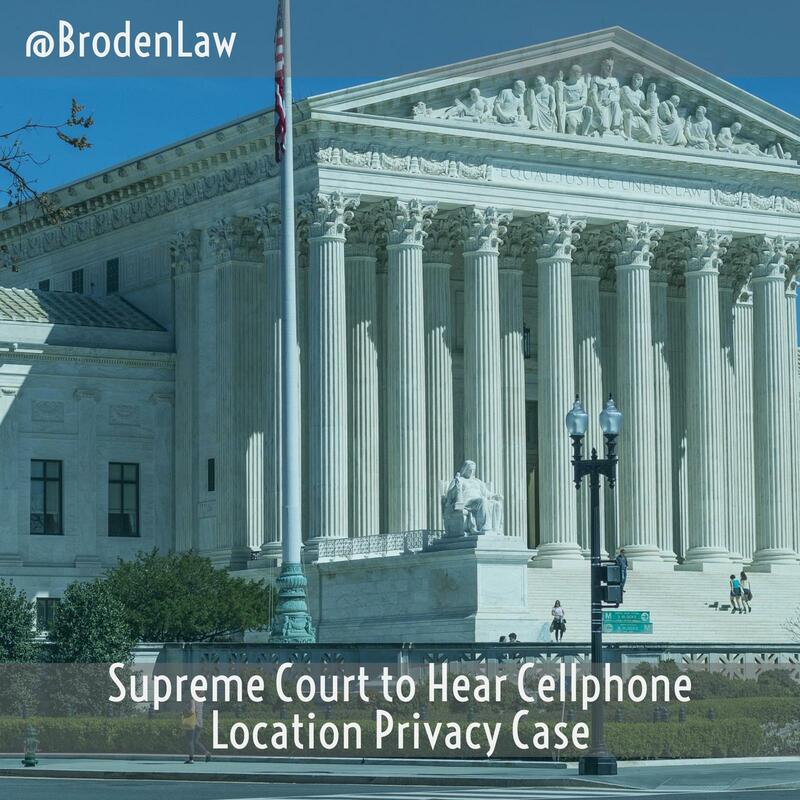 This is not the first time the Supreme Court has confronted cell phone privacy rights. In 2012, the Court ruled that police need a warrant before they can put a GPS tracking device on a motor vehicle. In 2014, the Court held that police must obtain a warrant before they can search a mobile phone seized during an arrest. The government is basing its position on the Stored Communications Act of 1986, which holds that the government doesn’t need probable cause to access customer records. However, it’s likely the defense will argue that the lawmakers behind the 1986 Act couldn’t have foreseen the privacy concerns around smartphone location data. The Supreme Court will hear the case some time during its next term, which begins in October 2017 and ends in June 2018. The law is constantly changing. When it comes to mobile phones and other technology, the law must often race to keep up. If you have been charged with a crime involving evidence gleaned from your mobile phone, social media, or the internet, you can’t afford to forego experienced criminal defense. Contact a Texas criminal defense lawyer right away to protect your rights.